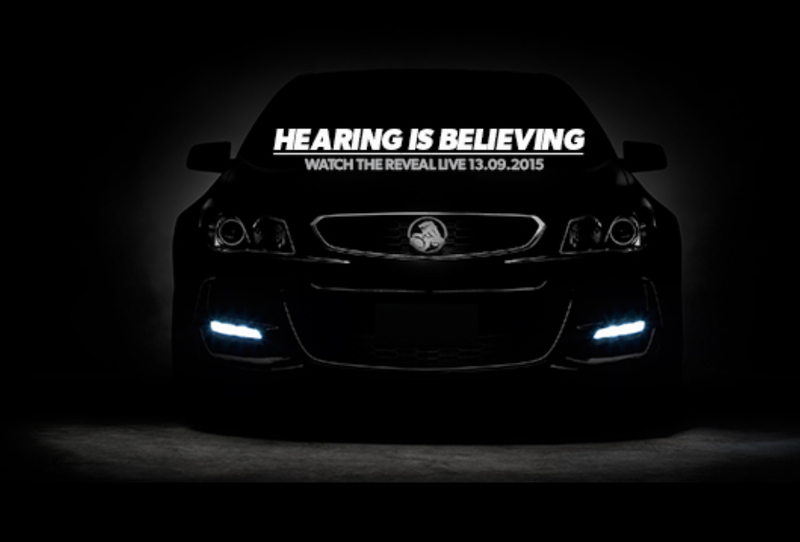 Just last week, GM’s Holden division shared a teaser photo of the upcoming 2016 Commodore Series II, which will deliver a refresh to the Commodore lineup. We gave the image to our digital artists with the goal of extracting as many details from the (too dark for our tastes) teaser, and what you see above is what they came away with. The enhanced image reveals that the 2016 Commodore will feature revised upper and lower grille treatments as well as a revision to the placement of the LED lights on the lower end of the front bumper cover. And are our eyes playing tricks on us, or does the enhanced teaser have a particularly more aggressive lower grille treatment? In addition, there seems to be a new set of wing mirrors whose shape is more squared off than those on the 2013-2015 Commodore VF. Of course, we have yet to see any images of the side or exterior, which could feature other changes. Set to debut this week on September 13th, the Commodore Series II will be of particular significance not only because of the updates it will bring to the Commodore lineup, but also because it will be the last Commodore and the last Holden built in Australia. So, do you like what you see in our enhanced teaser? Sound off in the comments. I think the current one looks pretty good up front. Some better wheels / side skirts and a rear bumper with some updated LED tails would really set the SS off. Hmm… we only see an official front view to the car so far… maybe the extra effects are yet to be revieled? I would hope so too as it’s a sweet package overall and the more muscle look it could get, would be great! Include some other mechanical updates as well… I’m waiting patiently to see… but it’s hard tho.